Happy Sunday friends! What a lovely weekend it's been here in Western NY. 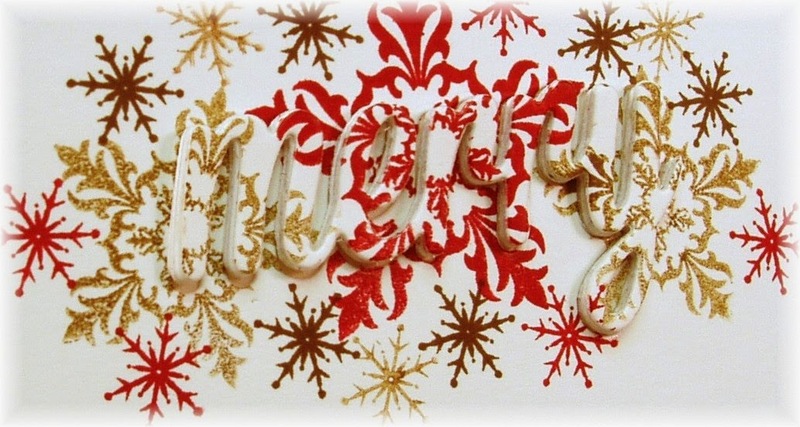 And on such a beautiful Sunday, I'm posting a Christmas card. We can't get too comfy with the beautiful weather because we know that snow and cold air are coming quick! 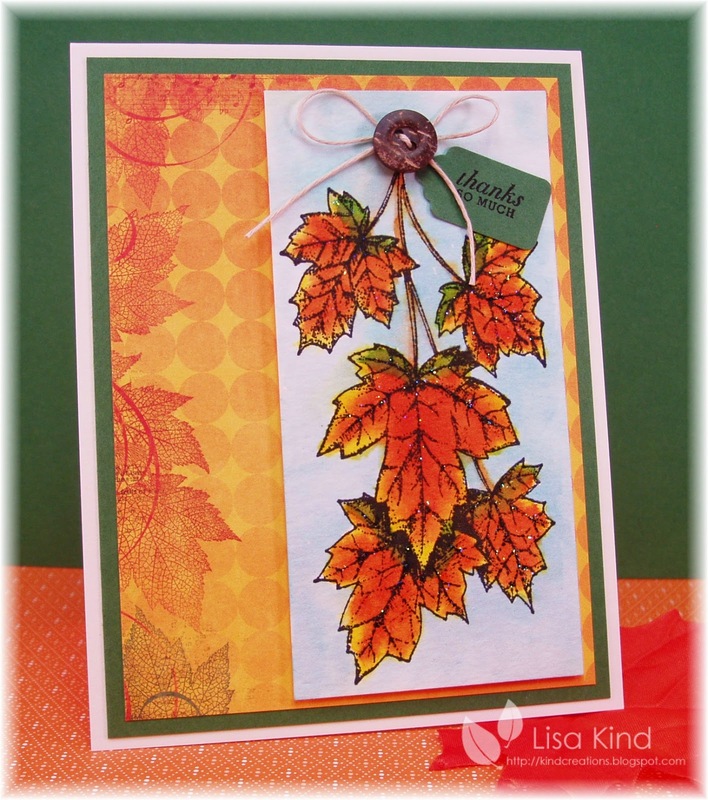 This week over at the Christmas Card Challenge blog, there is an anything goes challenge. I loved the red and brown colors in last week's photo. 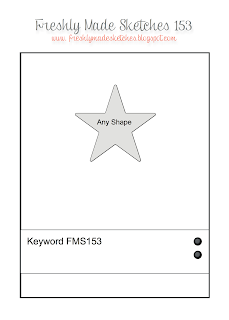 I was going to use this paper last week, but changed my mind. So I decided to use it this week. Love how fast and easily this card came together. 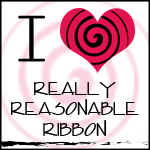 The most difficult thing was trying to find the best ribbon for the tag! The ribbon wasn't working, so I used brown twine. That poinsettia flower is from a container of Prima flowers that I've had forever. My stash is dwindling and I just love these flowers. I can't find them anywhere and that makes me sad! Anyway, there are three flowers layered on top of one another and a glitter dot in the middle. The leaf came in the container of flowers. The red tag was run through the canvas impression plate to give it some texture. That's it! Very simple and fast! I followed the sketch from Freshly Made Sketches. I just realized that they are a CAS challenge. I hope they don't through my card out! 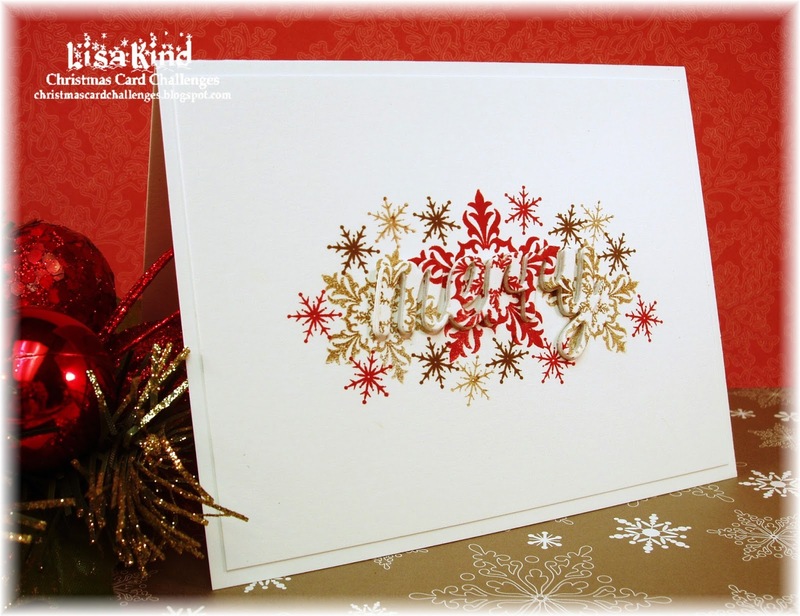 You can see more Christmas inspiration on the Christmas Card Challenge blog. Hi all! I didn't think I was going to make this challenge happen. I usually create my cards the day before they are due, and last night there was not enough energy in my body to create one! But I just could not get this photo out of my head that Sue V. chose for the Just Us Girls Photo Week. 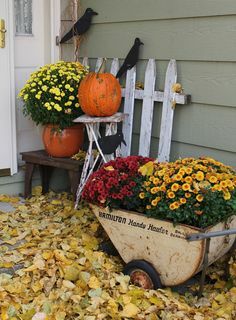 Autumn is just my favorite time of year. I've always loved autumnal colors and the cooler weather. So I just could not pass this challenge up! I got up early this morning to create a card. Here's a close-up of the photo. 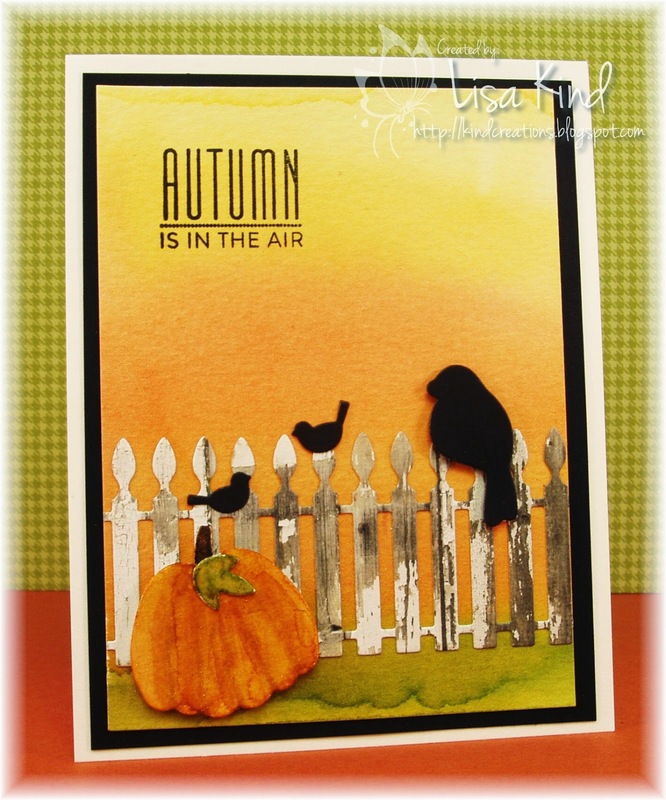 I was drawn to that fence, the black birds, and the pumpkins. So I got to work with those ideas. I started by watercoloring a background using various Distress Inks. I found some weathered wood paper to die cut the fence from. Then I went to work on die cutting the cute birds and that pumpkin. I cut that out of watercolor paper and gave it some color and dimension using distress markers. I thought the simple sentiment was the perfect one. I think it took longer to find the sentiment than to actually create the card! Does that happen to you too? I added some Wink of Stella on the pumpkin to make it look like frost on the pumpkin! I don't usually make cards in the morning...I'm a night girl. But I really like this card. Maybe I should rethink my crafting hours! LOL! You have to stop by these blogs to see what the DT has done this week! And we want to thank our Guest Designer, Bobby Hagen, for crafting with us this week! Hi everyone! I missed the last Time Out Challenge...life took over when I went back to work after having the summer off! Well now I'm right back into the swing of things and I have things under control. 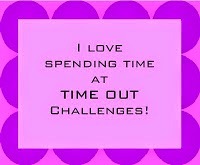 This week over at the Time Out blog, it is our Theme challenge. 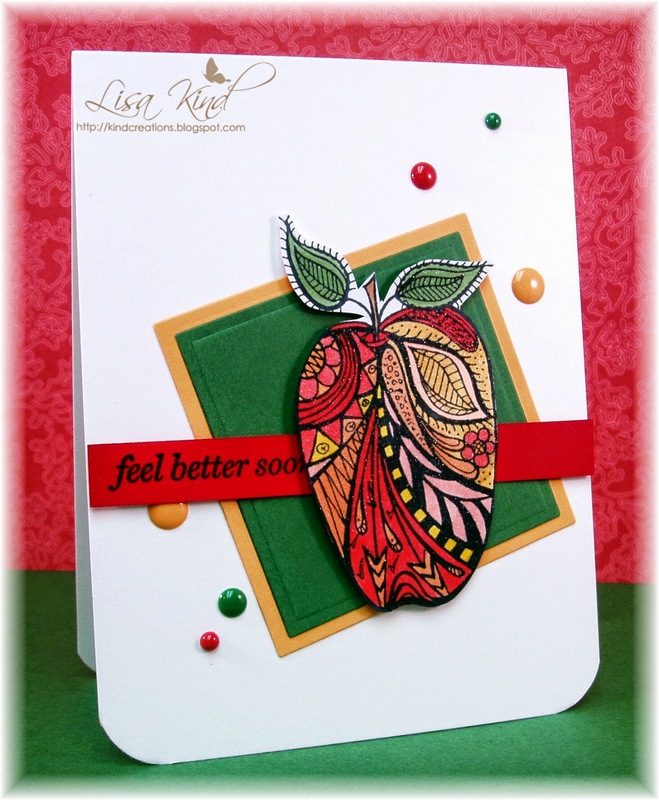 The theme is stamping and there's an optional twist to use apples. Love apples! 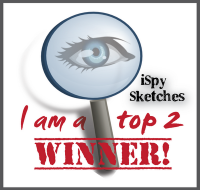 I followed this sketch from CAS(E) this Sketch. You can see more fabby inspiration from the Time Out design team on the Time Out blog. We have Loll joining us as our wonderful guest this week and are sponsored by Avocado Arts. They are offering one stamp set as a prize. To win all you have to do is enter and use the twist. The winner will be chosen by Random.org. Happy Sunday! 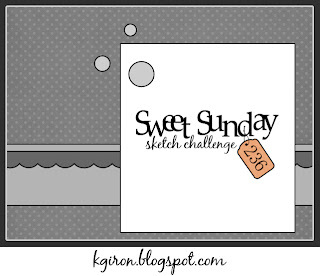 There's a new challenge over on the Christmas Card Challenge blog this week. We have this lovely photo as inspiration for you. 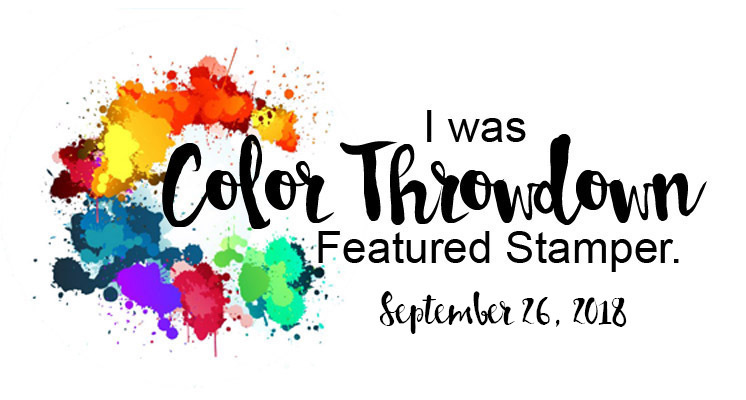 The first thing I saw was the colors. I love brown and red together...who am I kidding? I love brown with anything! My favorite color! Here's a close-up so you﻿ can see it more clearly. 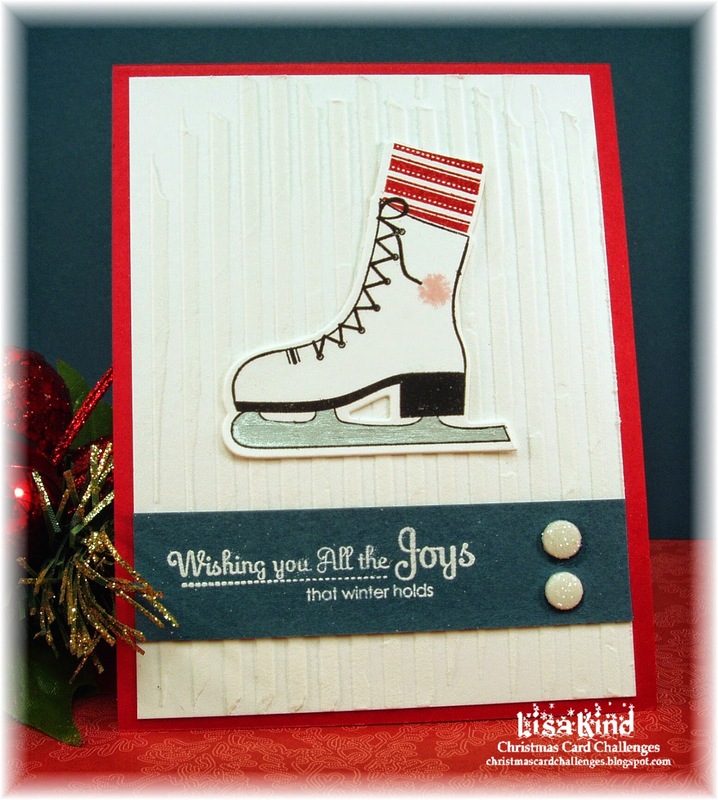 You can see more from the Design Team on the Christmas Card Challenge blog. Hey everyone! 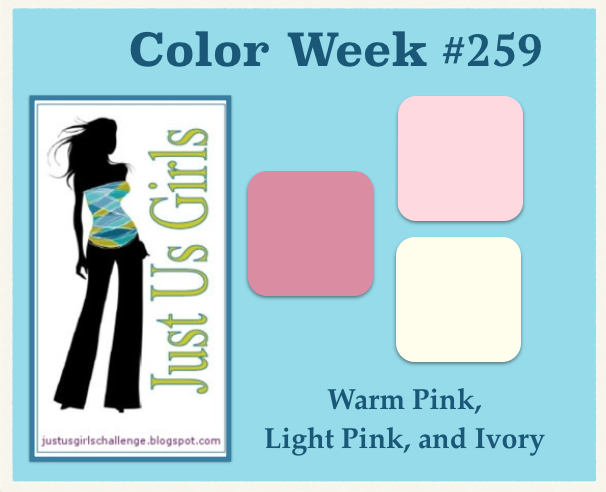 This week is color week over at Just Us Girls and Nancy has chosen some lovely pink colors for us to work with. This card was super easy and fun to pull together. I got some new products (imagine that!) last week at my LSS. I was shopping with my friend and fellow JUGs DT member Cheryl. I didn't buy too much this time, but I did buy some Taylored Expressions products. This die is so cool and so easy to use! I first cut it out of cream cardstock. Then I used four different pink papers from my scrap bin to cut out and place into the openings. The sentiment was stamped on another die cut from the same die set. 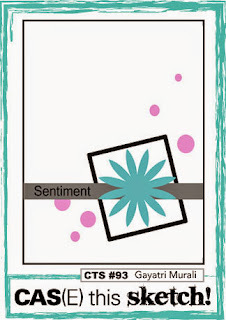 The sentiment was stamped in black and the word "day" was colored with a pink copic marker. On the bottom left piece, I die cut the scallop shape from the pattern paper as well as from the cream cardstock and inlaid the cream piece. I die cut the heart from the left over pattern paper piece, covered it in Wink of Stella and Glossy Accents. Lastly, I added the enamel dots. We were supposed to announce our newest member today, but we needed a little more time to get things organized. So we will be making an announcement next week. You can see more from the JUGs Design Team and our Guest Designer on these blogs. 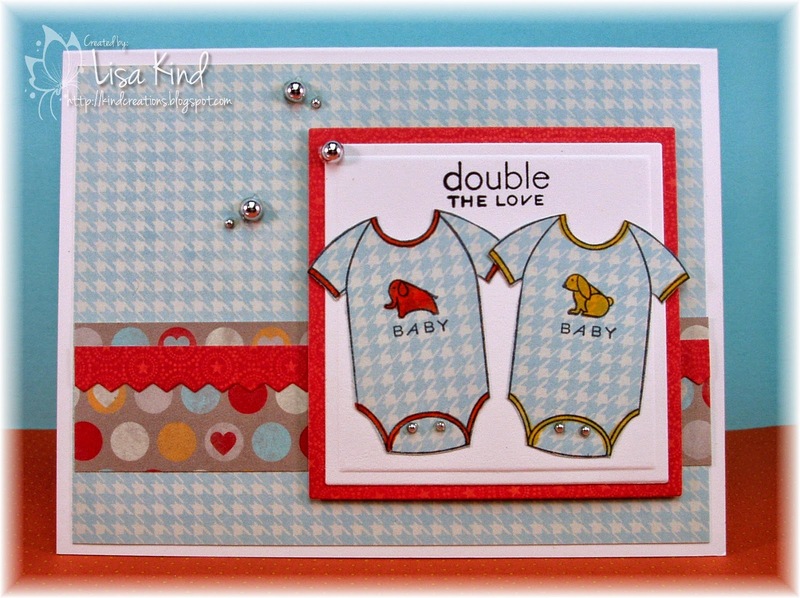 I have a fun post today for two adorable new baby boys! My fellow Time Out DT member, Bev from Uniko Studio, had twin boys about two weeks ago. You can see pictures of them on Bev's post here. So to welcome them, the Time Out team of Sandie and Nonni put together a challenge over on the Time Out blog called Double the Joy which you can join in on! The challenge will run from today until September 29 at which time a winner will be chosen from Random.com to win a 20 £ voucher to Uniko Studio. Sounds fun, right? So why not play along. Here's my card. 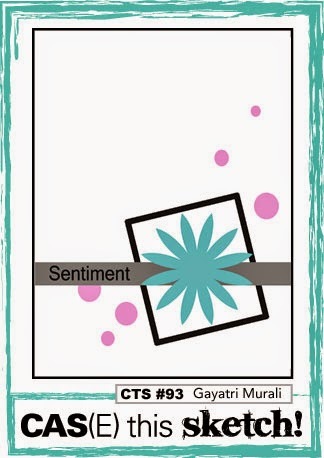 I knew I was going to use PTI's Bitty Baby Blessings stamp set just for that sentiment. It almost matches the name of the challenge! I stamped the onesies on the houndstooth paper and ran it through my Xyron machine. Then I colored them to match the paper. I added mini silver pearls to the snaps of the onesies too. They were mounted on a square piece of vintage cream cardstock. 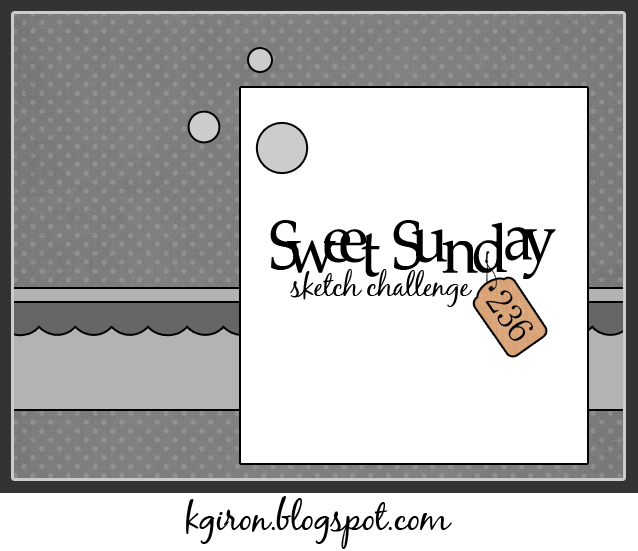 I used the Sweet Sunday Sketch for my layout. 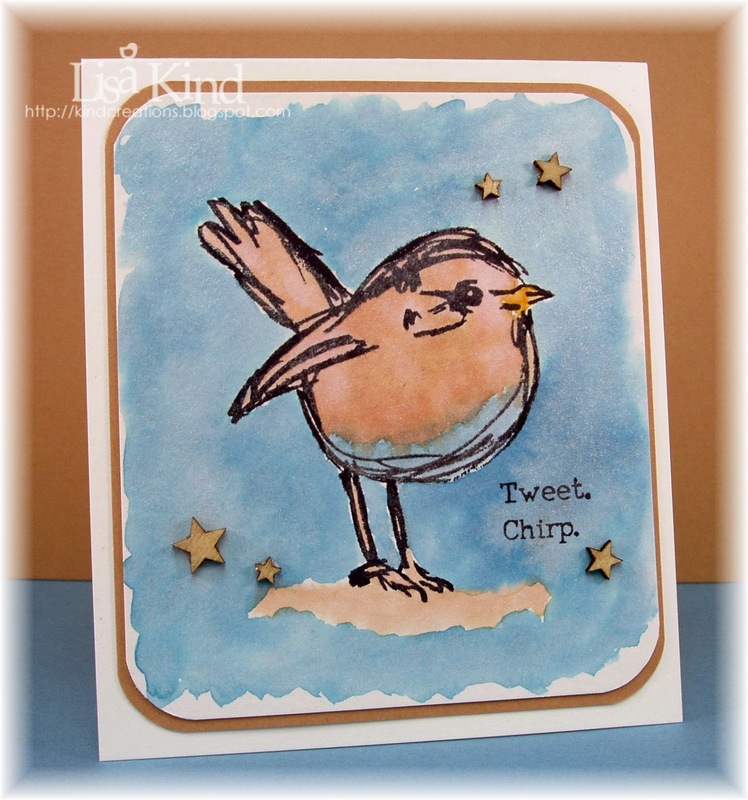 You can see more fun cards from the Time Out design team on the Time Out blog! 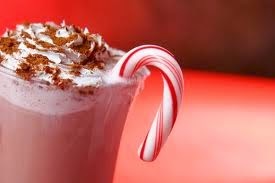 Don't forget to stop by Bev's baby post and leave some love as well! Happy Sunday! 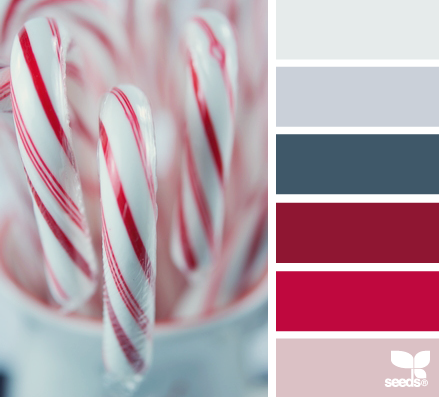 We have a new Christmas Card Challenge this week and look at the great colors we chose! You can see more from the Design Team on the Christmas Card blog. Hi friends! 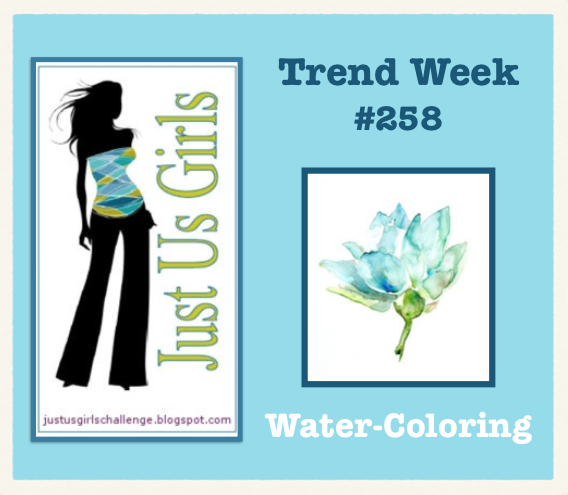 This week is Trend Week over at Just Us Girls, and Vicki is our hostess. She chose the fun and oh so trendy watercolor technique. I had been wanting this Scribbly Birds set from Dina Wakley, but they were out-of-stock when I went to purchase it. I was at a stamp show a couple of weeks ago and saw it at the Ranger booth! I was so happy to have snagged them! These birds are perfect for watercoloring! I used SU reinkers and instead of water, I used a Perfect Pearls spray to mix into the ink. This gave a very shimmery look to the entire card. 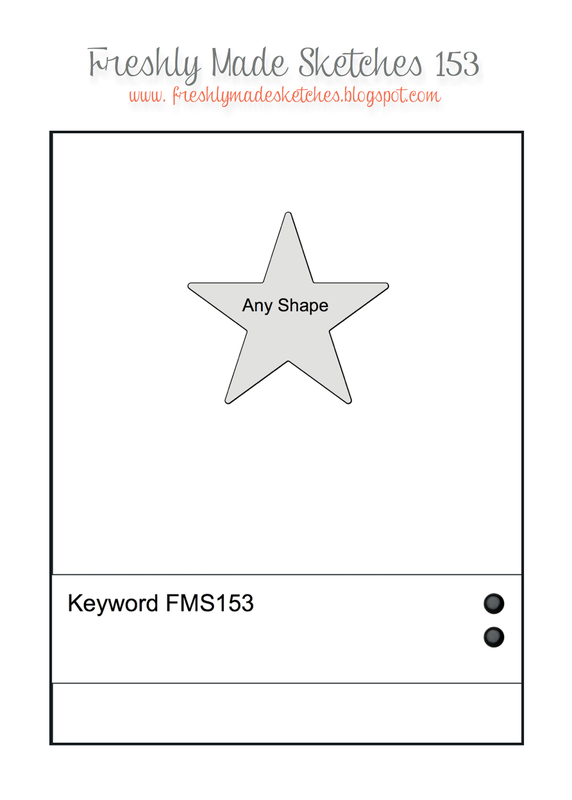 I just mounted it on creamy caramel cardstock, rounded the corners, and added wooden stars. You can see more inspiration from the design team and our September guest on these blogs. We also have a Design Team Call going on this week only! We will announce the new designer on September 20! So check out the JUGs blog for details! It's time for another Christmas Card Challenge, and the time to start sending out those holiday cards is looming upon us my friends! 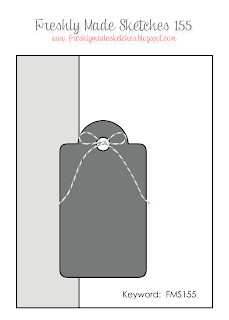 This week the challenge is to make a tall and skinny card. I made mine a 4" x 9" size which will fit into a legal size envelope. Since I had a lot of space to fill, I decided to use two new stamps sets in my stash. I started by adding some antique linen distress ink on the entire front of the card. Then I used a circle stencil and tea dye distress ink to create the background. 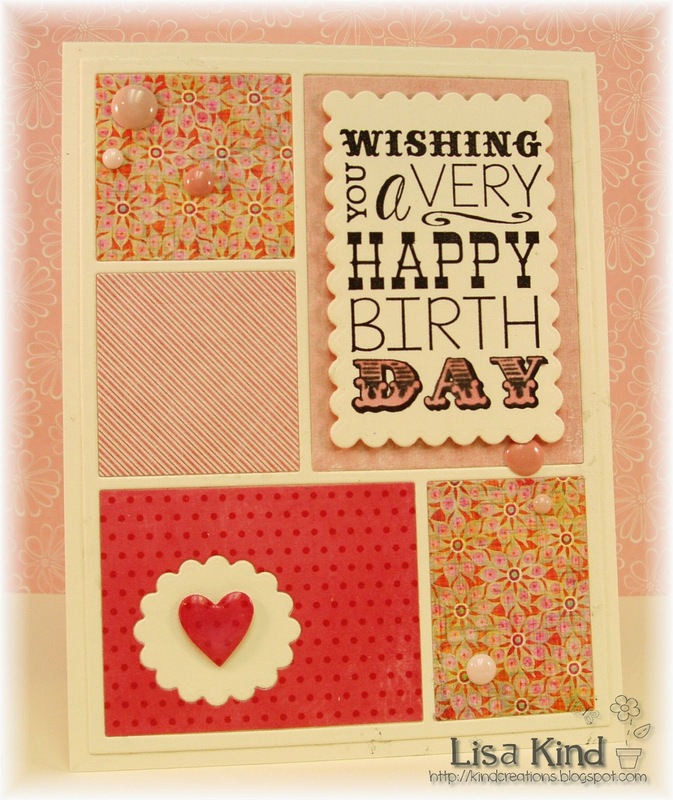 I then used this really pretty vintage lace stamp from Wendy Vecchi. I've seen her do some amazing cards and tags with it, so I took some inspiration for using it from her. I stamped it in Archival jet black and then swirled some green and red distress inks on it. 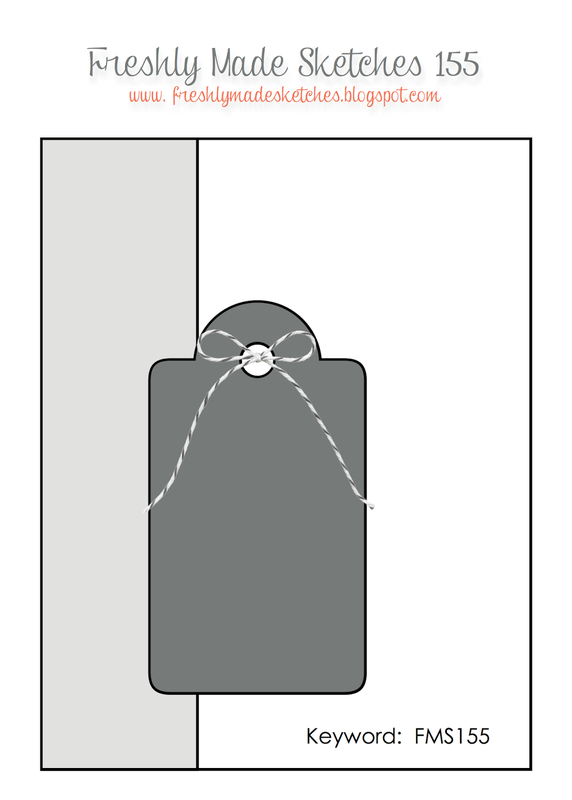 I repeated the process on the bottom of the card. This ate up some of the space I needed to fill. 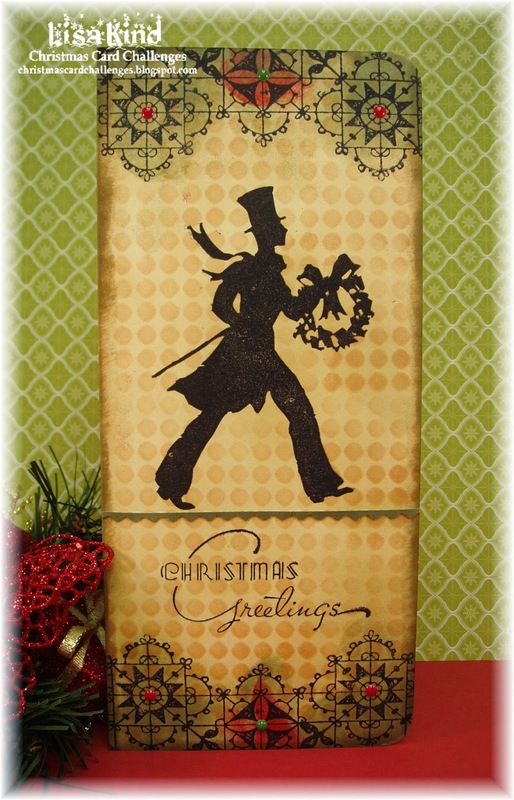 Next I stamped the guy with the wreath (I just love this image...it reminds me of Ichabod Crane for some reason!) and the sentiment. He needed something to ground him, so I added this pinked edge which was colored with the green distress ink. Then I made a big mistake! I edged the entire card with frayed burlap and goofed on the left side! I added way too much. I think my new ink pad was too juicy! Oh well! I achieved a distressed look! I also added some enamel dots on the lace image and rounded the top and bottom corners. 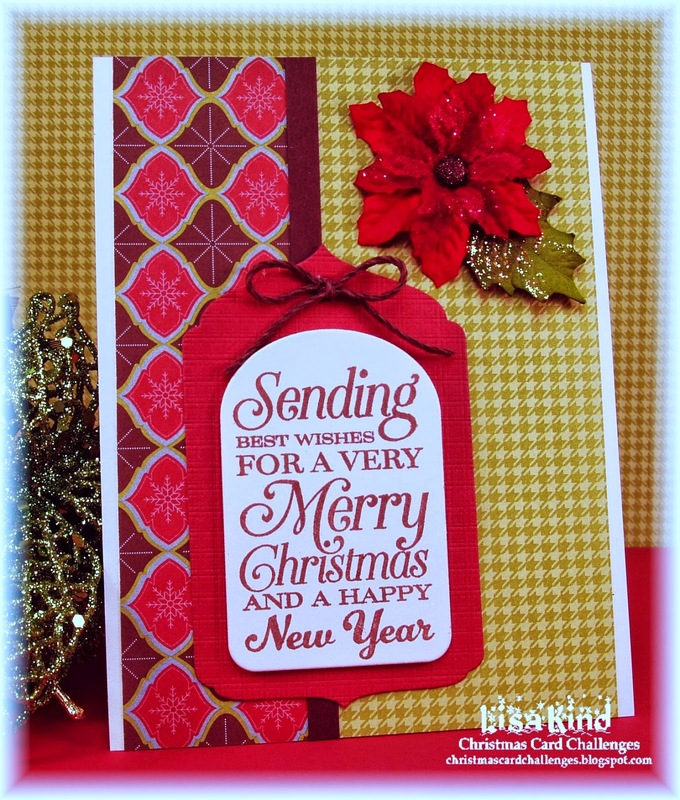 You can see more from the DT on the Christmas Card Challenge blog. Happy Saturday! Well, I made it through the first three days of a new school year! My feet are a little worse for wear, and I'm sure glad it's the weekend so I can wear sandals again! LOL!! 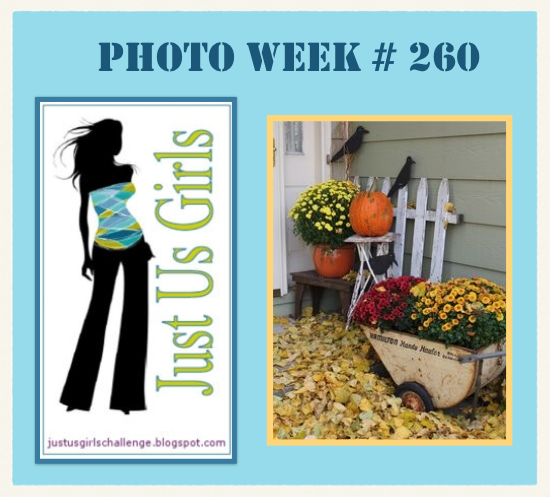 My friend and fellow DT member Cheryl is the hostess this week over at Just Us Girls. 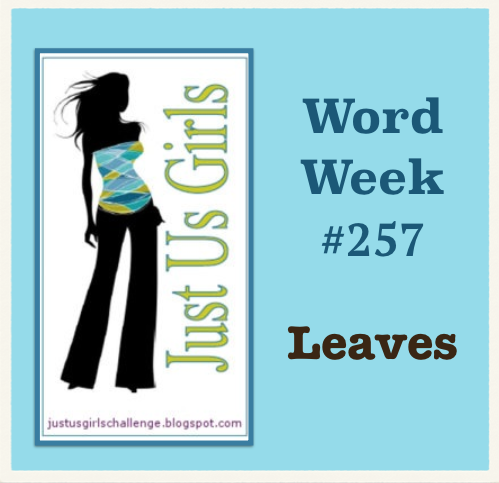 It's word week, and she chose the word "leaves". What a great word to get inspiration from! I actually purchased this stamp a couple of weeks ago when I was with Cheryl at a stamp show. I just fell in love with it! I don't think I realized this challenge was going to be leaves when I purchased it. Maybe Cheryl did! Anyway, the stamp is from Northwoods and I stamped it on watercolor paper with Archival jet black ink. Then I watercolored the image and the background. When I was looking for something to mount it on, I found this paper from Bo Bunny that had leaves on it. Perfect! I added some Star Dust Stickles for sparkle, a button and twine, and a tag punch with the sentiment stamped on it. 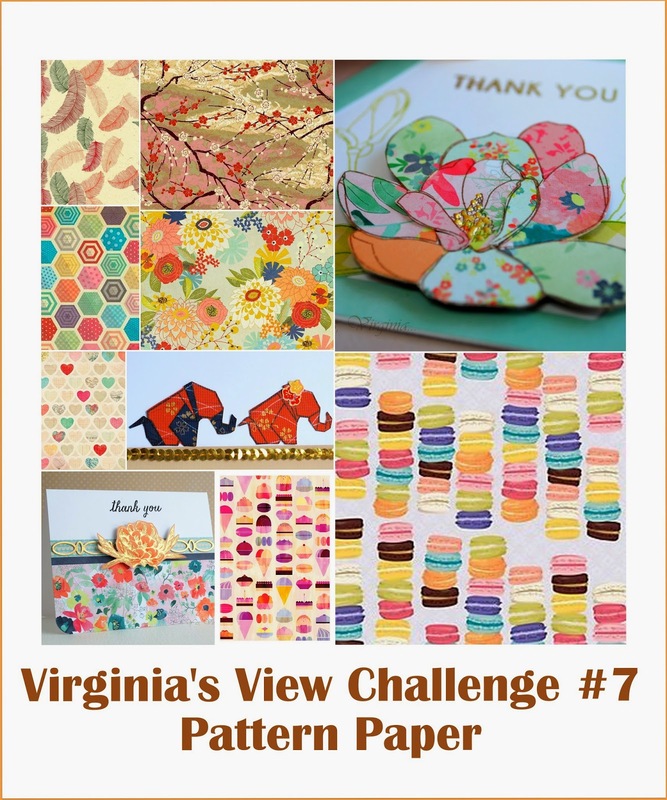 I'm also entering this into Virginia's View Pattern Paper challenge. You can see more from the DT girls on the JUGs blog. We also have a new guest designer for September. Please welcome Bobby Hagen!